Below are a few scenes from a recent visit to Pothana Lane in the NSW Hunter Valley (near Branxton). 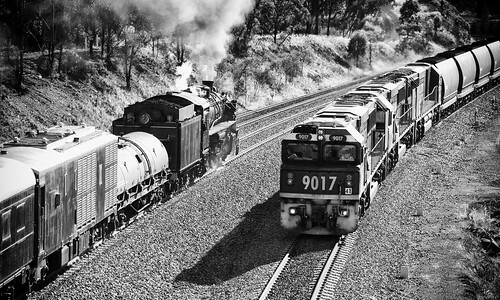 9017 leads two classmates downgrade with a loaded coal train bound for Port Waratah for export, whilst the crew of heritage steam locomotive 5917 pour coal into the firebox as she stomps upgrade with a charter train to Singleton. 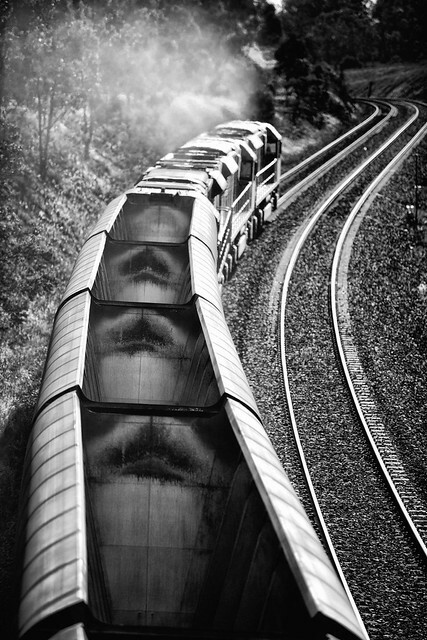 Triple Pacific National TT Class scream upgrade with their lengthy empty coal train bound for Warkworth. 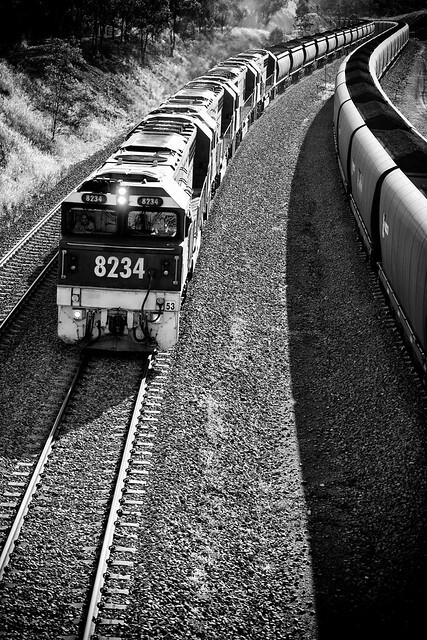 8234 leads three classmates under the overpass at Pothana Lane in the NSW Hunter Valley with JW62 loaded coal from Wambo/Jerrys Plains to Port Kembla steelworks. 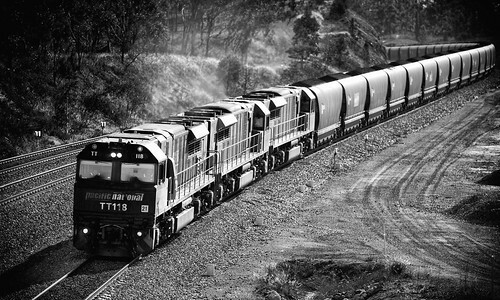 JW62 is overtaking BG150 loaded export coal on the adjacent track, likely due to JW62 needing to get on the busy “short north” section of track between Newcastle and Sydney on time to avoid missing out. 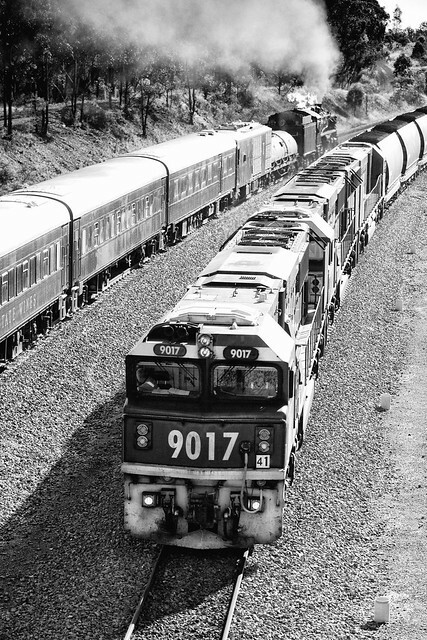 Three Pacific National “TT Class” locomotives work BG150 loaded coal from Bengalla to Kooragang Island through Pothana in the NSW Hunter Valley. Hunter Valley coal locomotives have a reputation for being among the grubbiest locomotives in the country, and TT118 seems to be among the worst offenders.